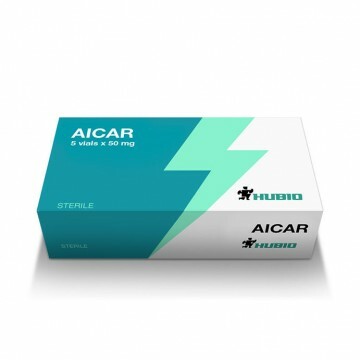 AICAR - is a peptide that has been designed for application by the athletes during the period of rehabilitation after injuries. AICAR allows you to preserve your muscle mass even in the absence of physical activity. In addition to this the drug improves endurance and helps to produce energy. Due to these qualities, the peptide is used in many kinds of sports. allows the athlete to train in extreme conditions, for example, at high ambient temperatures. Note! 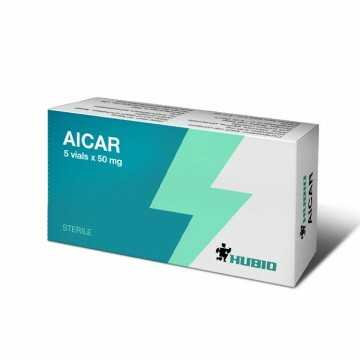 AICAR is detected during Doping control, and the substance itself is prohibited in the WADA list since 2011. AICAR is available in powder form, which should be diluted with saline to obtain a liquid for injection. Regarding the dosage - it is individual and depends on the goals of an athlete. In the case of injury the recovery period dosage is 50-100 mg, injection is made every other day. If case of maintaining the shape during the training mode, the dosage is 10-50 mg. In parallel with the use of AICAR some drugs can be used to restore the joints and ligaments. Regarding side effects – they have not yet been studied to the end. AICAR is used, usually to improve endurance and for preservation of previously gained muscle mass. The peptide is used in different sports like power, and, for example, when running over long distances, to provide sufficient endurance.